Only 5/10 in the NBR’s Biz Quiz. 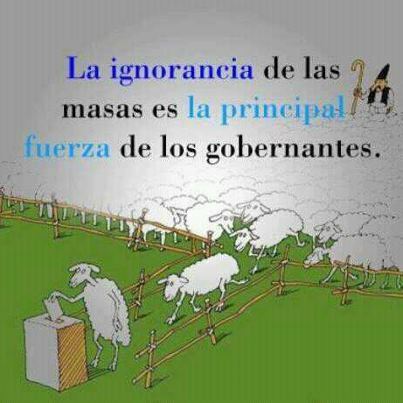 It means: the ignorance of the masses is the main strength (or power) of rulers. “The wheel has turned completely since the days when the hero in the valley was the farmer who chopped down as much bush and scrub as possible. Now the heroes are the farmers who are retiring native bush, fencing waterways and planting trees for shade, shelter and erosion control.”. . .
“We live in a community, so we’ve got to get it right for the people we share that community with, the markets we deal with and for ourselves. If we don’t farm sustainably, we don’t have a business.” Alistair Polson.
. . . For is it not the case that one of those causes is that, on a gargantuan scale, we took the waiting out of wanting? Not only consumer credit but government deficit spending, largely to underwrite a standard of living that we did not go to the trouble of having earned, is at the root of our financial difficulties. . . The protestant work ethic with which I was brought up taught me about delayed gratification. You worked and you saved and you waited and eventually you’d get what you wanted because you’d earned it. Easy credit changed that by taking the waiting out of wanting and now we’re all paying for it. such as social cohesion and engagement, as well as community and family networks.1 In every region of the world, social capital correlates negatively with government regulation. Does excessive regulation decrease social capital or do high levels of social capital lead to low levels of regulation? Research suggests that the causal relationship follows the latter example, with higher levels of social capital leading to fewer but better regulations. Indeed societies that are highly trusting—both in government institutions and in one’s fellow citizens—tend to demand fewer, less complex and less restrictive economic regulations. It goes on to say that countries with little social cohesion have more regulation which results in result in unwanted barriers to entrepreneurial activity, innovation, and competition. By contrast, in countries with high levels of social cohesion entrepreneurs are considered to provide societal benefits and, as a result, these countries tend to erect fewer regulatory barriers to entrepreneurial activities. Social cohesion provides trust which necessitates less regulation which provides social and economic benefits. You are currently browsing the Homepaddock blog archives for the day Sunday, November 4th, 2012.